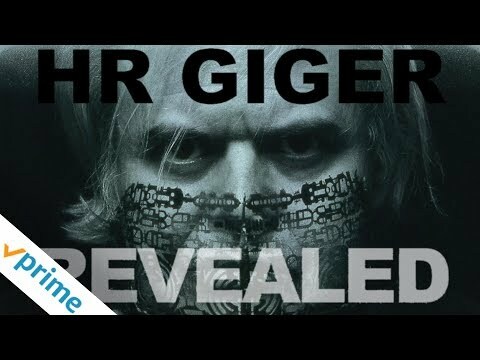 This years Roskilde Festival showcased the legendary Swiss artist HR Giger as part of its Arts Program and “Klub Rå” venue. On 4th of July the Documentary “HR Giger Revealed” (trailer above) by David N. Jahn was screened in a collaboration between Roskilde Festival, The Roskilde Museum of Contemporary Art, The Triangle Project/Jacob Fuglsang Mikkelsen and the film club Global View. The Director of the film David N. Jahn was present after the screening via Skype from Prague, for a Q & A session about HR Giger and his film. The curator of HR Giger for Roskilde Festival, Jacob Fuglsang Mikkelsen did a Q & A, also talking about his connection to HR Giger and his dark universe. Oscar Winning Swiss surrealist artist HR Giger was greatly inspired by Hieronymus Bosch, Salvador Dali and Jean Cocteau. His painting are said to be channeled from another dimension, with darkness and fear as one of the main themes. An environmentalist, with a critical view on overpopulation and the state of the future if humanity continue their ways, he brilliantly airbrushed his worst fears onto his canvasses. He is probably most well known for his Oscar winning Alien Monsters in the ALIEN movie franchise. He has however also created mind-blowing Bars in New York and Tokyo, along with memorable album covers for artists such as Debbie Harry, Dead Kennedys, Danzig and Carcass.